Horizontal illustrations of coniferous wood. Vector illustration of sailing yacht regatta. Set vector silhouettes of pylons transmission line. Horizontal banners of coniferous wood. Wild coniferous wood at sunset. 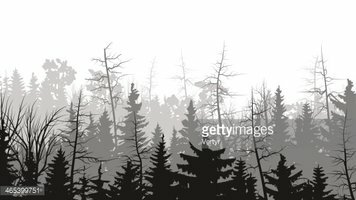 Illustration of valley with coniferous wood. Horizontal illustration of pinewood forest with sun rays. Square wild coniferous wood in morning fog. Horizontal banner with many tree trunks. Horizontal banner of spruce branch.